Henry Viney – “The Little Man with the Big Cigar” – was an Albertan sportscaster for more than fifty years. Champion of amateur sport, he covered six Olympics, work amateur hockey, bowling and basketball championships. He refereed world basketball and several Allen Cup hockey playoffs. A CFCN radio/tv staffer for 35 years, he won the Foster Hewitt Award for sportscasting in 1967. 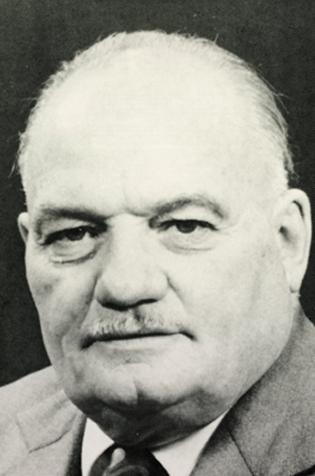 Henry Viney was inducted into the Canadian Football Hall of Fame and Museum, Football Reporters of Canada wing in 1980.